You can also enjoy the interplay between the assorted flavours of Valmiermuiža’s beers and fine foods in the capital. 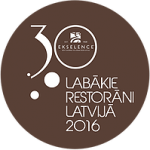 Here, you’ll find contemporary dishes created from the produce of Latvia’s land and nature, complemented by our very best beers, offering you a range of mouth-watering flavour combinations with which to excite your palate. In turn, on every other Sunday, we offer you a late breakfast, when we invite you to enjoy Latvia’s seasonal flavours and the Valmiermuiža brews that complement them. We are happy to lay tables not only at home in Valmiermuiža, but also everywhere else; in fact, wherever you please, preparing and presenting dinner in your chosen venue, as well as explaining its special appeal. 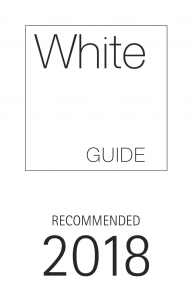 We’re pleased to report that our faith in the best of Latvian flavours has been duly recognised; in 2016, we ranked 16th among Latvia’s best restaurants you can find us also in „White Guide Baltic 2018″.